You have made a great investment by purchasing a home. Sleep soundly with the protection of a well rounded homeowners insurance policy from AJ MORALES INSURANCE. Home insurance is crucial when owning a home, you must make decisions based on foreseeable and not foreseeable events that could affect your home. There are various types of policies designed for that cause. 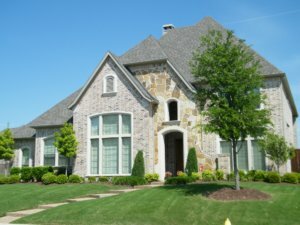 Depending of the type of homeowners insurance policy you are in the market for, is the amount of coverage you purchase for the interior and exterior of your home. Texas weather is crazy. Our beautiful home state offers us year round surprises in the form of rainstorms, hurricanes, tornadoes, wildfires, windstorms, hail etc… In addition to mother nature, theft and vandalism make you vulnerable. As one of your most valuable investments you want to make sure your home is well covered in case any of these things happen. We also offer free revisions to make sure you are properly insured with your current policy. Coverage Part A Dwelling – The cost to rebuild or repair in case of a covered peril in the insurance policy you purchase; normally wind/hail, lightning, and fire. *(Note: Earthquake and flood insurance will require a separate endorsement or policy. Talk to an agent today about earthquake and/or flood insurance). Coverage Part B Other Structure on your property- such as detached garages, buildings, or sheds on your property are also protected by a standard homeowners policy. Typically, the coverage for other structures is 10% of your dwelling coverage although, higher amounts are available if you wish to purchase them. Coverage Part C Personal Property/ Contents comes standards with a homeowners insurance policy and protects your items within your home or on your property should they be stolen, lost in a fire or damaged otherwise by a covered loss. These items include, but are not limited to clothing, furniture, and other personal items in the home. Coverage Part E Personal Liability Protection Pays to defend you in court against lawsuits. It also provides coverage if you are found legally responsible for someone else’s injury or property damage. Coverage Part F Medical Payments Pays the medical bills of people hurt on your property. It might also pay for some injuries that happen away from your home, such as your dog biting someone at the park. A basic homeowners policy pays $500 in medical bills, but you may buy up to $5,000 in medical payments coverage. *Not all policies cover dogs. Looking for renters insurance? We can help you with that too!